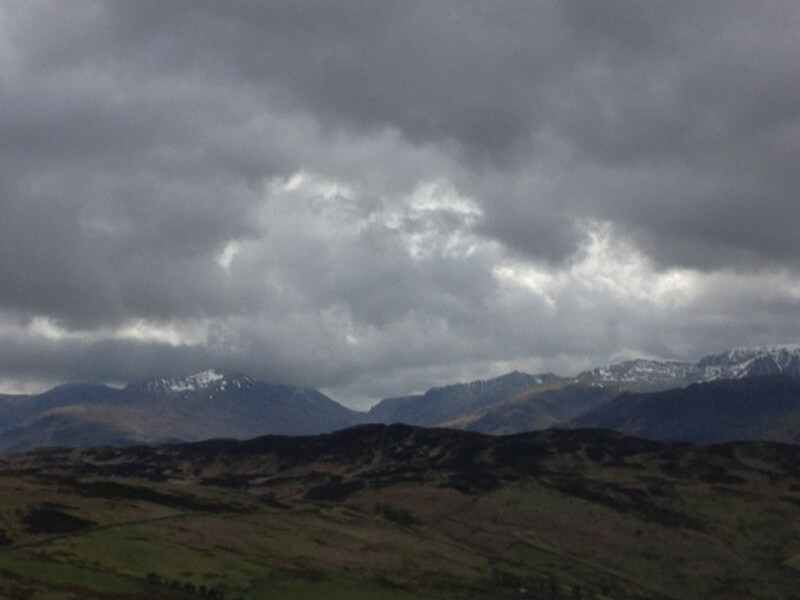 Living and working in the Lakes sometimes means finding yourself in areas seldom visited. A meeting at Rheged, near Penrith, provided an excuse for this little jaunt on my way home afterwards. Parking up amongst daffodils by the bridge at Dockray, I set off with a map, in sunshine. This run perfectly illustrates the pure joy of Wainwright bagging. 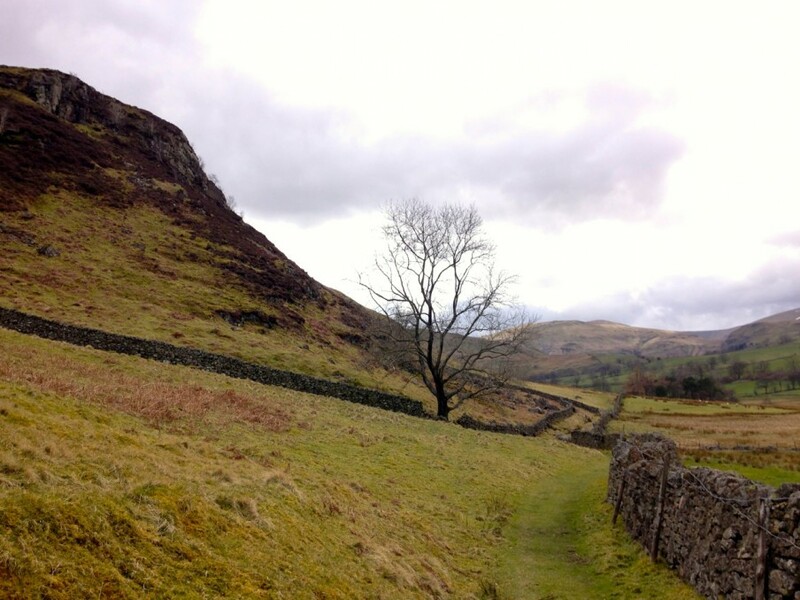 Giving a reason to explore new routes, linking up the three rounded outlying hills. I certainly wouldn’t be here otherwise. Bird song was everywhere. I left the track and started the climb across rough pasture. The first curlew of the year making that lovely warbling call which always makes me feel spring is finally here. I found a trod through the heather, a kestrel hovering overhead. 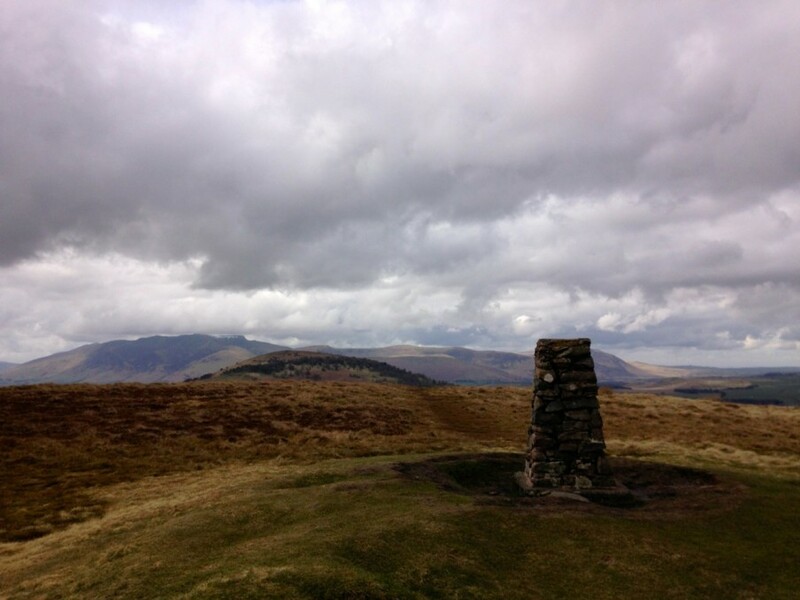 Climbing over a dry stone wall, I ran the short climb to the summit cairn of Gowbarrow Fell. 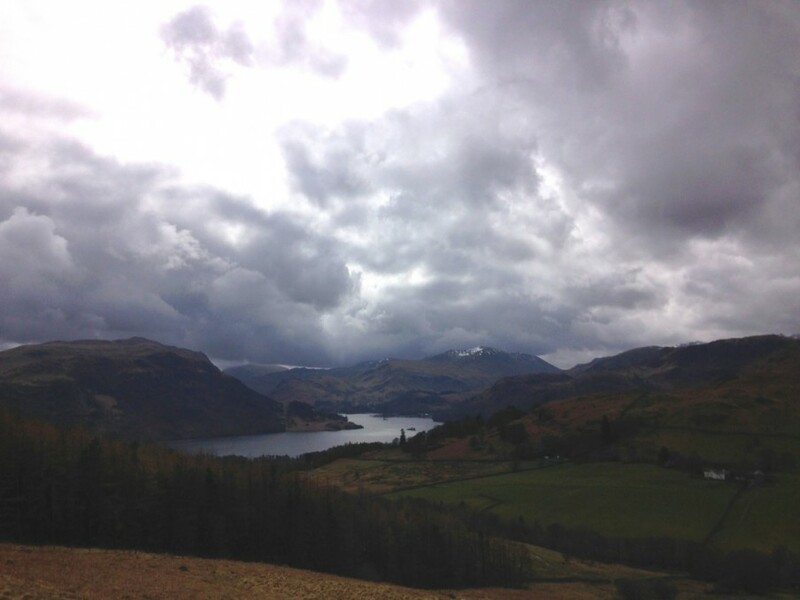 The views from this little peak are spectacular, Ullswater framed by the steep surrounding fells, capped with snow. 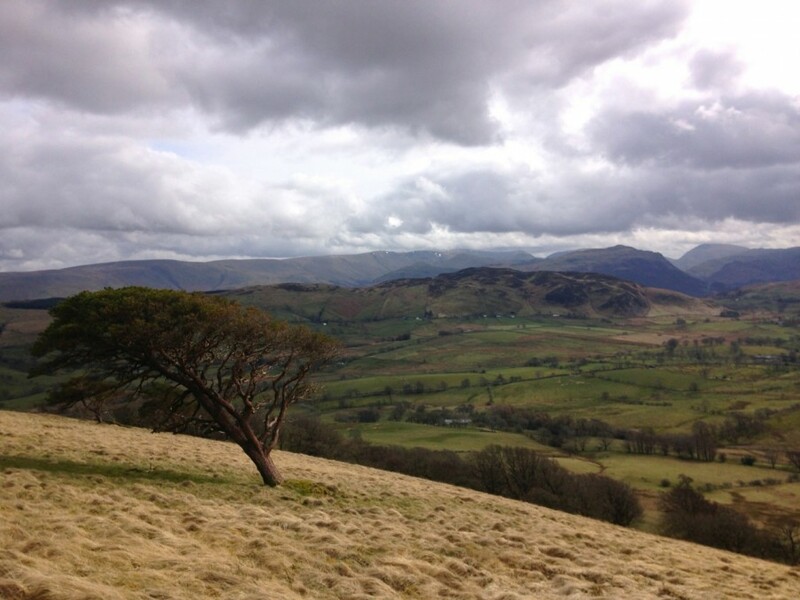 A winding path invites you to run along the rolling grassy ridge, towards the next Wainwright, Little Mell Fell. It then reaches a dense conifer plantation. I startled a roe deer stag. It pranced across the wet bogland back towards the safety of the trees. I stopped and waited for the best bit. An effortless single bound over the barbed wire fence. Then it was gone. The path was very boggy around the wood. I enjoy the game of trying to pick out the dry spots as I was running. Every now and again misjudging, my foot getting sucked into the mire. Crossing the road by the weather station, powered by a solar panel, I was soon bent over, pushing on my thighs. 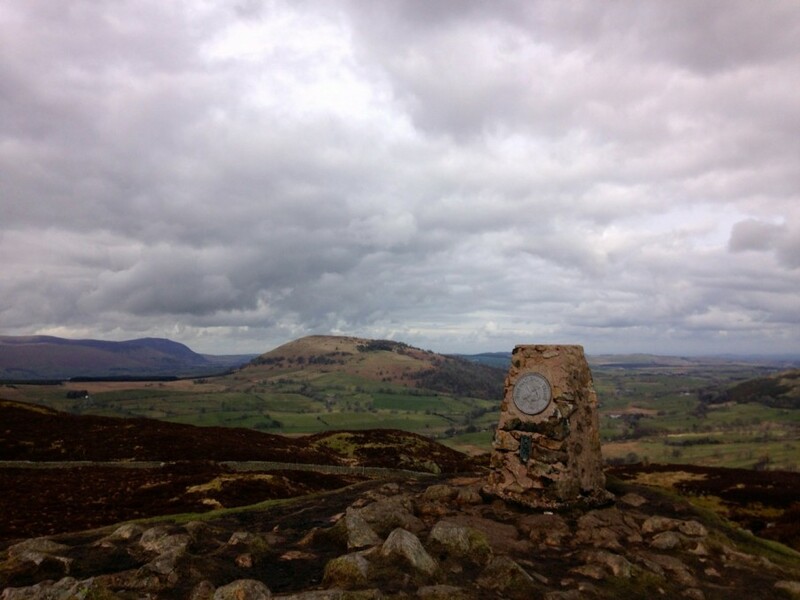 Up the steep, short climb and after a few minutes effort the trig point appeared. Again, for such a small hill, the views all around were fantastic. A fast grassy descent heading towards the final Wainwright, Great Mell Fell. Getting stuck amongst gorse thickets on the final drop down to the road, making a big detour to get round them. An old friend I haven’t seen for years was walking up the hill with his daughter and mum, so I stopped to have a chat. The last time I’d seen Owain was in Chamonix, where he was living and working as an Alpine guide. Now he was back in the Lakes, having recently moved to nearby Greystoke. 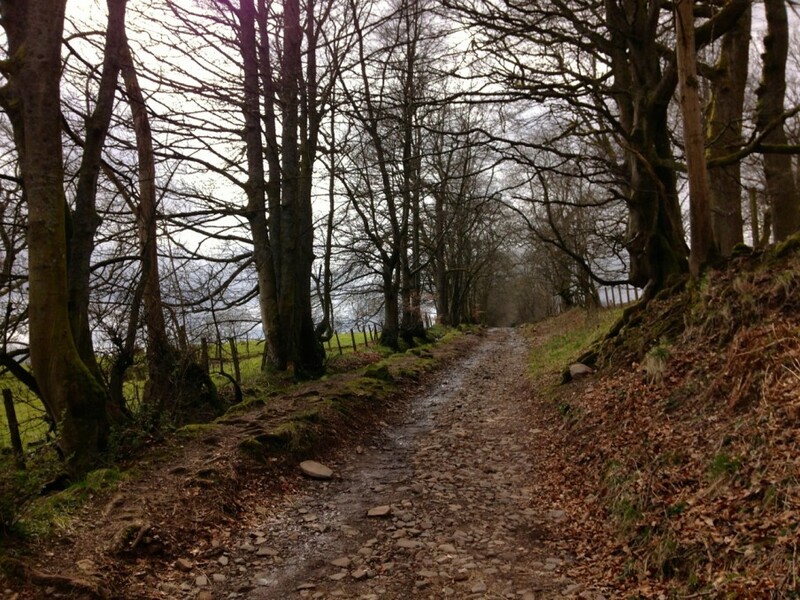 With an audience, I had no option but to keep a good pace going up the rest of the steep climb. 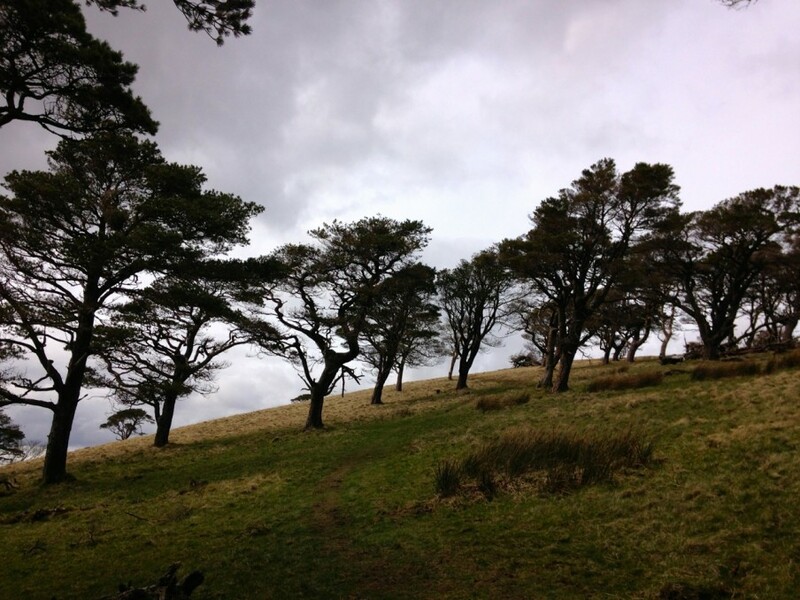 As the gradient eases, the trail takes you through stunted pine trees, pushed over by the westerly winds. I was now on peat. Wet and black underfoot. The summit marked with a small pile of stones. 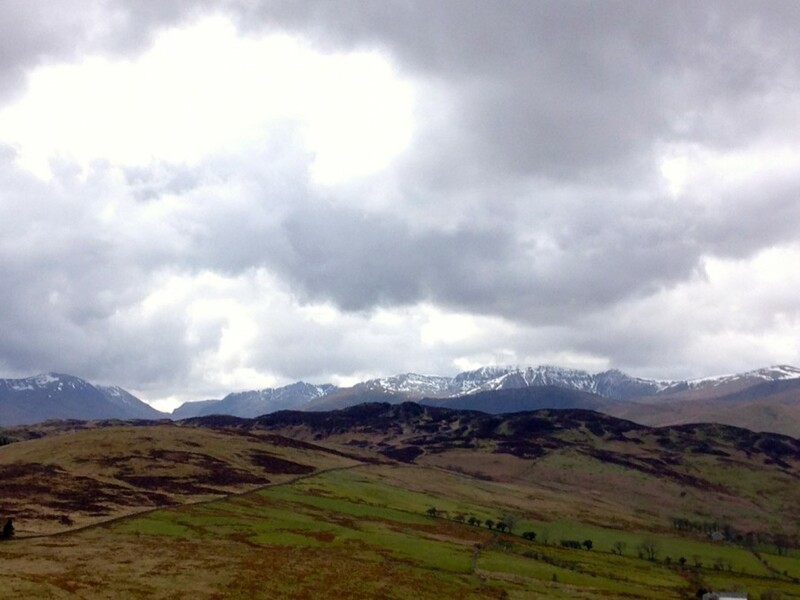 Ribbons of snow decorated the jagged ridges of Blencathra in the distance. Choosing the most direct route steeply down and over big tussocks, wild like Knoydart in Scotland. I reached an old mucky track, frogspawn in every puddle. 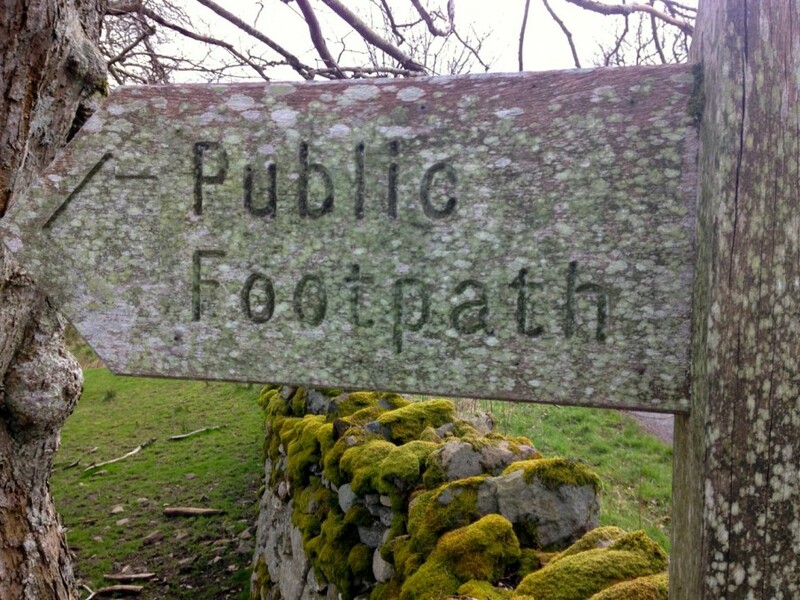 A short section of tarmac, then an ancient, lichen covered footpath sign marking the way. Across a very wet bog, alive with birds. Meadow pipits, skylarks and reed buntings flying out from under my feet. 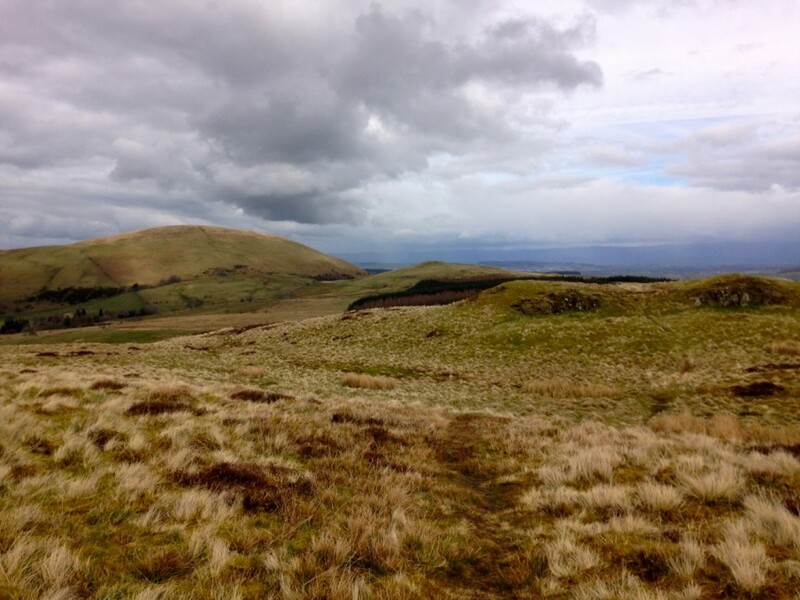 Soon I was running around the base of Gowbarrow Fell, joining up with the bridleway where I started an hour and a half ago. I slowed to a gentle jog, taking in all the signs of spring. Bright green new leaf bud, pale yellow primroses and the pungent smell of wild garlic. I looked back for a few moments at the three little beauties, then rounded a corner. 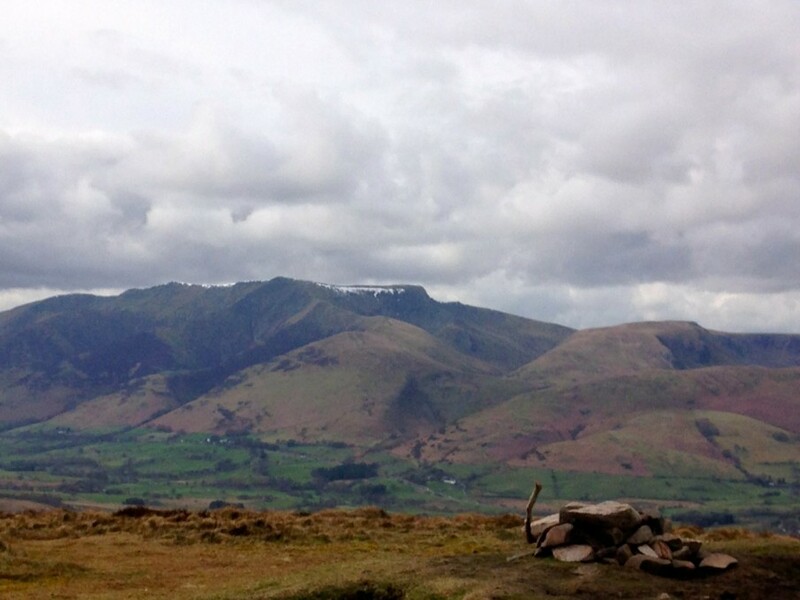 3 Wainwright summits today, that’s 89 down, 125 to go.